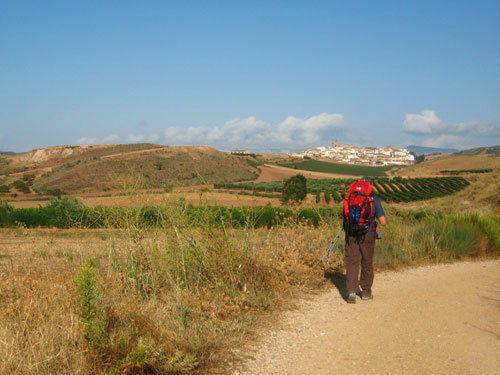 This Walking Holiday explores the second section of the Camino Frances / French Way, the most traditional of all the pilgrims' ways to Santiago de Compostela and the best known internationally. Start your walk in Pamplona, famous for its Bull Run festival, and finish in Logrono at the heart of the Rioja wine region. 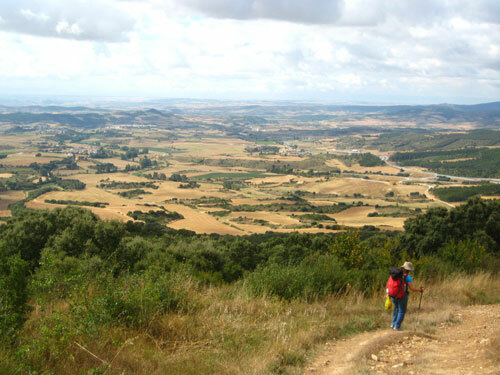 Enjoy an attractive hike in hilly Navarra with its 12th-century castles, picturesque villages, and vineyards. Everyday, during the walk, you are guaranteed a high level of comfort and gastronomy. 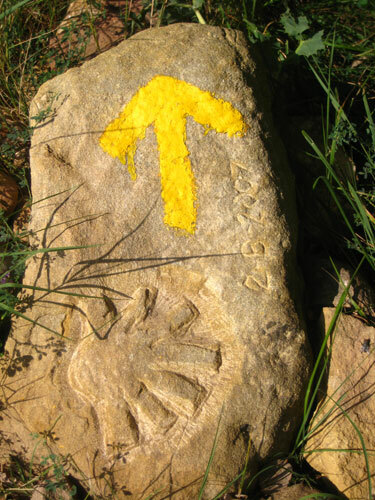 The Camino is clearly marked with the “Scallop Shell” showing you the way. This walk can be physically demanding and requires a reasonable level of fitness. However, it’s a highly rewarding walk that includes numerous cultural highlights. The quoted price (to the right) is from price! Minor price adjusting can occur due to meals plan or/and accomodation. When leaving Pamplona behind, you are also leaving behind the Atlantic area of Navarra. 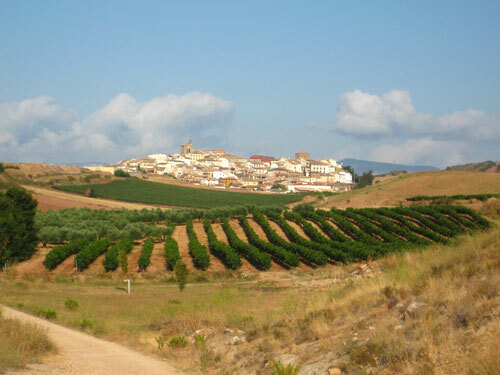 From here onwards, the landscape will be dominated by cereal crops, Holm oaks and Mediterranean brushwood. The Pamplona basin is left behind too when you cross the "Alto del Perdon". 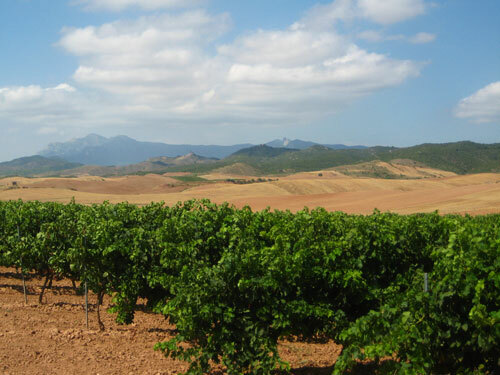 Today we leave Navarra and journey into Rioja. A pleasant hike into undulating countryside. 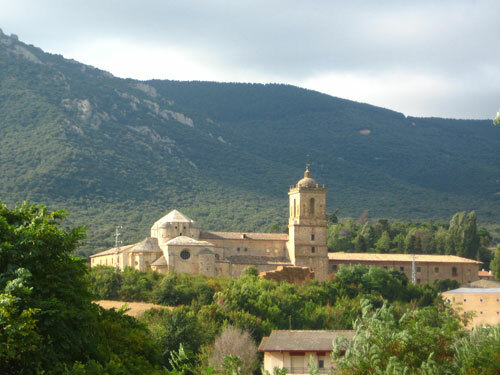 On the route you will pass the stunning ruins of the Clavijo castle. 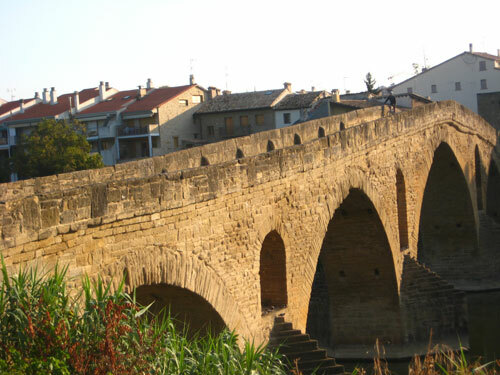 Finally we come to the town of Logrono, strategically situated on the border between Alava and Navarra. After breakfast we bid you farewell. 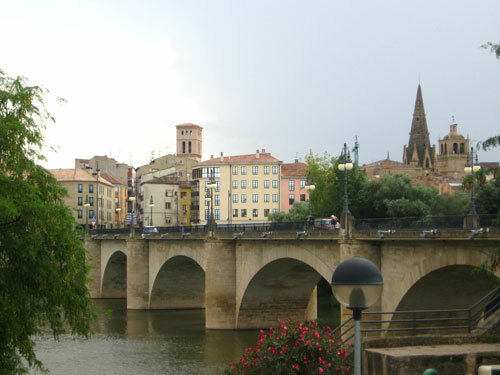 Logrono is a city rich in history and traditions that have been preserved since the Middle Ages. The pilgrim's Camino to Santiago de Compostela made this one of the most important towns on the Camino. ♦ If you would like to stay in Pamplona or Puente de la Reina during the Fiesta de San Fermin (6-14 July), an additional fee will apply. 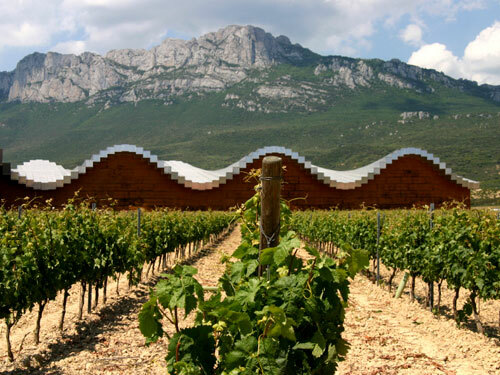 ♦ If you would like to stay in Logrono during the September Wine Fair, an additional fee will apply. ♦ Fly in and out – It is best to fly to Bilbao, Santander or Madrid. To/ from Bilbao you can fly with EasyJet (daily flights to Bilbao from London Stansted Airport), Iberia (flights from Gatwick or Heathrow via Madrid), Air France and AerLingus (operates out of Dublin). To Santander there are direct connections only with Ryanair (from London Stansted, Dublin, Frankfurt, Milan and Rome, as well as Reus and Madrid in Spain), and internal connections with Iberia from Alicante, Barcelona, Gran Canaria, Malaga, Palma de Mallorca, Seville and Valencia. To/ from Madrid you can fly with almost every company. You can check the Spanish national company: www.iberia.com. ♦ Getting there – From Bilbao to Pamplona there is a direct bus with Burundesa bus company (2 hours journey, 10 departures a day). Direct bus Santander – Pamplona with Burundesa bus company is 2 hours journey, and departs twice a day. From Madrid to Pamplona there is a bus with Conda bus company (10 departures a day). As well as you can take a train from Madrid, which has 9 departures a day.